Today,I chose to wear green.I am a very color conscious person,usually picking up a particular color for a specific reason.The RGB and all it’s shades appeal and influence my mood differently on various occasions.Harmony and balance of life,that what green color means to me.Psychologists say that green creates a balance between the head and the heart.Green is mostly associated with growth,a color that renews and restores depleted energy.I believe,it helps me feel nourished,gives me the ability to nurture and love unconditionally. I draped this lovely beauty yesterday.It was a relaxed day with hubby by my side all day and usual activities. 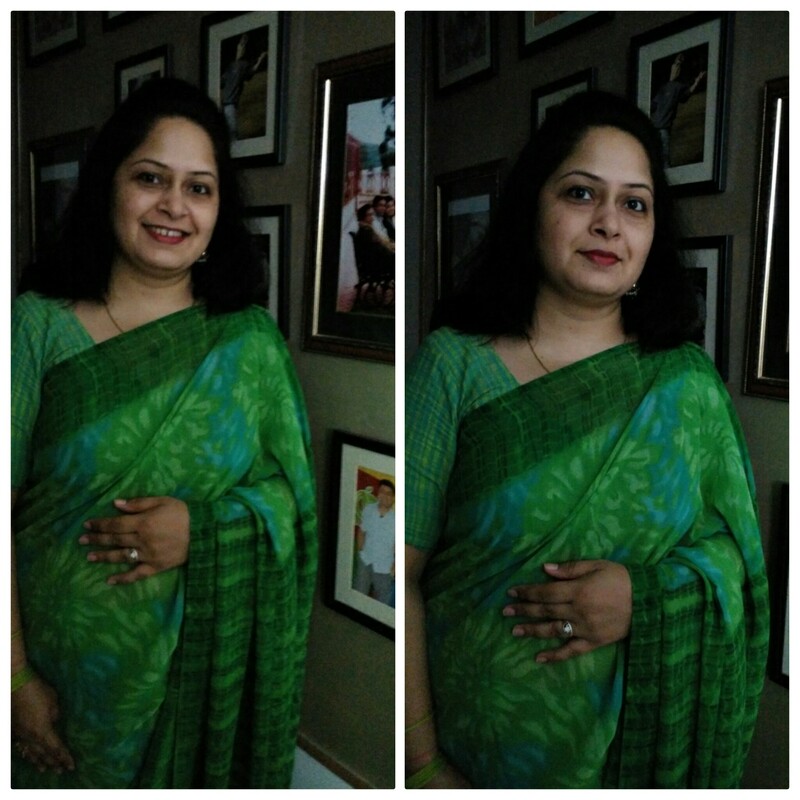 This saree is very special to me for two reasons.First of all, this is second purchase from my hard earned money,long time back.It’s soft Georgette with border-pallu kinda design which drapes so comfortably.Secondly, and most importantly, every time I look it while surfing my wardrobe it reminds me of the the green forests,the flora and fauna spread all around this earth.It reflects a sense of positivity and a sense of well being.This saree has different tones of green,which reminds of the relaxing colour on the earth,specially during rainy season. Teamed it up with plain glass bangles,red and green jhumkis and a colourful ring bought from Jaipur few years back. 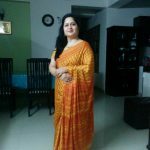 A great idea would like to join the 100 saree group how do I do that.